Not everyone buys a home very often and in fact many might only own one to three homes over their life time. As a result when buying a home, buyers should make sure they get the best pre-approval amount they can so that when they do buy they are getting the best home that meets their budget at the time. By striving for the best home you can afford now and will suit your needs for some time to come there will be less need to upgrade to another home because your current home was only a “starter home”. There is a caveat with that in just because a mortgage lender approves a mortgage for the highest amount of money that can be had that does not necessarily mean homebuyers should buy at the top of that range. Homebuyers need to analyze their current and future financial situation to make sure they can afford the home they buy today. If in the future the homeowner plans on having a larger family, wishes to change careers, or something else that effects their lifestyle then that should be part of the consideration when buying a home today. Homebuyers should not end up in a house poor situation where they cannot afford to pay for the home as well as the upkeep resulting in a loss of home value over time. Always consider how much home you can afford today as well as in the future as part of your home shopping process. There are a number of factors that influence the amount of a mortgage pre-approval and the ultimate amount that can be borrowed. While income is a large contributing factor towards the amount of money that can be borrowed for a home it is not something that is easily controlled by the homebuyer. Homebuyer income generally comes from employers and outside of raises or promotions income does not change very frequently. Credit score on the other hand is something that homebuyers can directly influence by how they use credit and pay their bills. The credit score will not only play into how much you can get approved for on a mortgage but it also will impact how much you will pay for that loan. Those with better credit scores will usually be offered better interest rates and lower fees than someone whose credit score is not as good. Credit score equals credit risk to lenders and the lower the score means the higher the risk which results in higher rates and fees. High credit utilization and late payments on bills are the quickest way to a low credit score. While one or two late payments will not kill a credit score, especially if the homebuyer is mainly on time, continual late payments will add up and drag down one’s credit score. Prior to buying a home, buyers should make sure to pay all bills on time. Even by making the minimum payments but making sure all those payments are paid before the due date a credit score will slowly begin to recover and this can help when it comes time to apply for a mortgage. 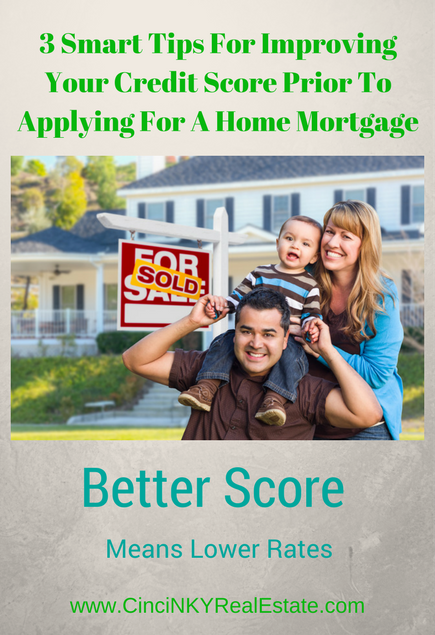 Credit utilization is another big factor in a homebuyers credit score. The more of the available credit that is used the lower a credit score will be as a result. If a homebuyer has access to $50,000 in credit through student loans, credit cards, department store cards and other lines of credit, and owes $45,000 in total across those accounts that is seen as very high credit utilization (over 90%). Credit utilization above 30% (total amount owed of no more than $15,000 for someone with access to $50,000 in credit) is treated negatively on credit reports. While the 30% number is not a hard and fast number that credit rating companies use, it is a good rule of thumb. The lower credit utilization that can be had the better the credit score can be all other things being equal. 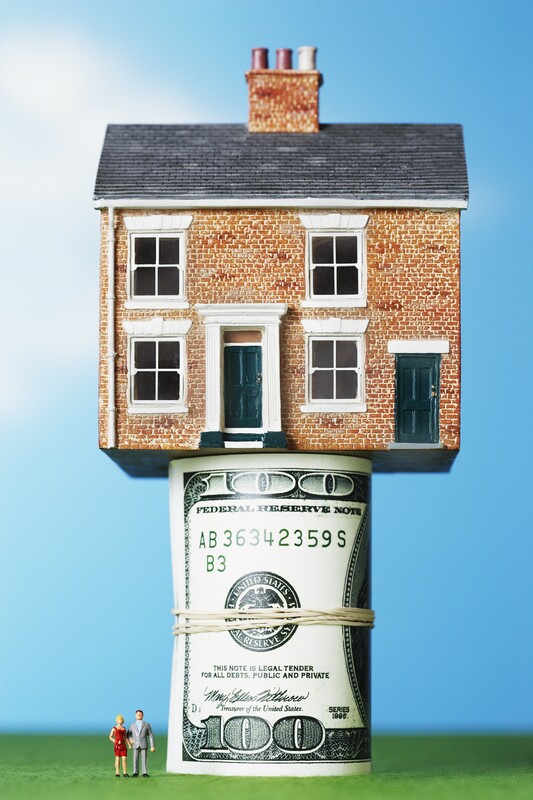 When banks are looking to verify a borrower’s ability to pay back a loan they will consider the borrowers monthly income versus current minimum monthly debt payments to determine how much money can be borrowed for a home. What this means is the lender will be looking at how much monthly payment can a borrower afford considering the monthly income they make and the monthly debt payments they have as well. Debt payments include student loans, car loans, minimum monthly credit card payments, lines of credits, personal loans from banks or credit unions and more are considered. The more debts you have, means a lower amount you can borrow for a home. If you have the means to pay down debts prior to buying a home and have a good handle on your budget then by paying down large debts six months to a year prior to buying a home will help you get pre-approved for more mortgage than you might have without paying down any debts. With interest rates as low as they are now it may make sense to pay off high interest rates debts now and use lower down payment options to buy a home rather than saving a lot of cash for a down payment. Mortgage debt generally has much lower interest rates than many other types of debts and has tax advantages as well that other debt may not. Regardless of whether you plan on buying a home soon, disputing incorrect credit information is always a wise move. Whether there are incorrect accounts listed on your reports, late payments for accounts you never paid late on or wrong information associated with your account (different versions of your name, residences you never lived in, property you never owned being listed as owned by you) all errors should be removed so as not to drag down your credit score. Erroneous late payments or erroneous accounts listed on your credit report can throw your credit score off. Each credit reporting agency has a process for disputing and reporting errors and usually by filing an error dispute with one reporting agency the other agencies will remove the errors as well. Errors on your credit report can slow down the process for your mortgage loan since the mortgage lender will have to review and verify all debts and income right before final approval of a loan. Mistakes such as the borrower living in/owning a house they have no connection with, incorrectly reported credit lines or debts change how much can be borrowed and whether you can borrow or not. If a credit report incorrectly reports you own a house in another state the lender may have the grounds to deny your loan completely since they might feel you could not afford two house payments. Save some time, review your credit report before you apply for a mortgage and have any errors removed. When buying a home it is wise to try and get the best home possible that will fit your current budget needs. Homebuyers should not overreach but by buying the best home for them now there is less need/desire to upgrade later on. Consider your lifestyle and current income as part of the calculation of what home would work best for you. About the author: The above article “3 Smart Tips For Improving Your Credit Score Prior To Applying For A Home Mortgage” was provided by Paul Sian. Paul can be reached at paul.sian@herrealtors.com or by phone at 513-560-8002. With over 10+ years experience, if you’re thinking of selling or buying, I would love to share my marketing knowledge and expertise.